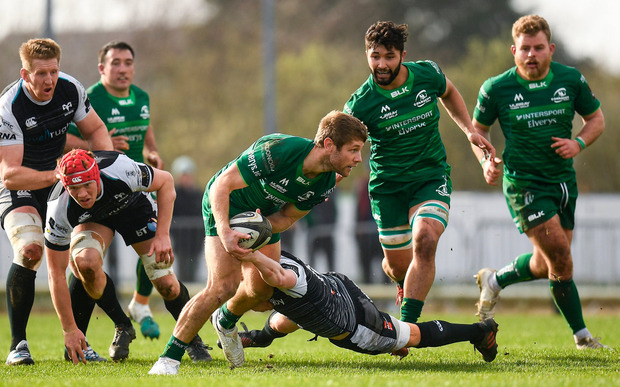 Connacht delivered a killer blow to one of their Conference A play-off rivals with this bonus point win. Matt Healy and Kieran Marmion crossed before the half-hour mark, while a penalty try before half-time secured the bonus point. Marmion's second and Tom McCartney's effort sealed the win, but Godwin was at the heart of it all in his maiden start in the No 10 shirt. "He hasn't done a lot of work there, but his preparation this week was phenomenal. I saw Kyle go to another level in his detail. He is a diligent, professional man anyway, but I thought he was really zoned in this week," said Friend. "He hasn't come here as a 10, he's come here as a 12 or 13, but this year we've used him on the wings, we've used him at 12, at 13 and now as a 10." Slim hopes of an Ospreys comeback disappeared before the break when Tiernan O'Halloran intercepted after they had looked certain to score. 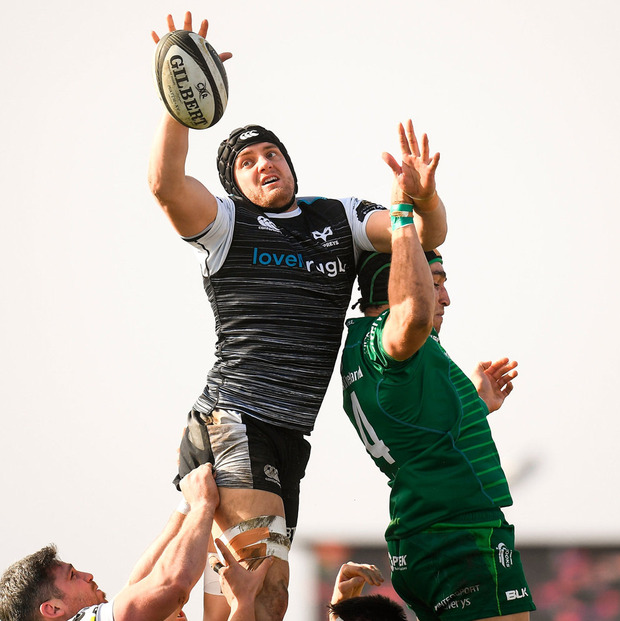 Instead Connacht earned a bonus point and Ospreys a sin binning through Keelan Giles. It was a key moment in a vital win, but Cardiff's victory over Kings means they are also in the hunt for third place. 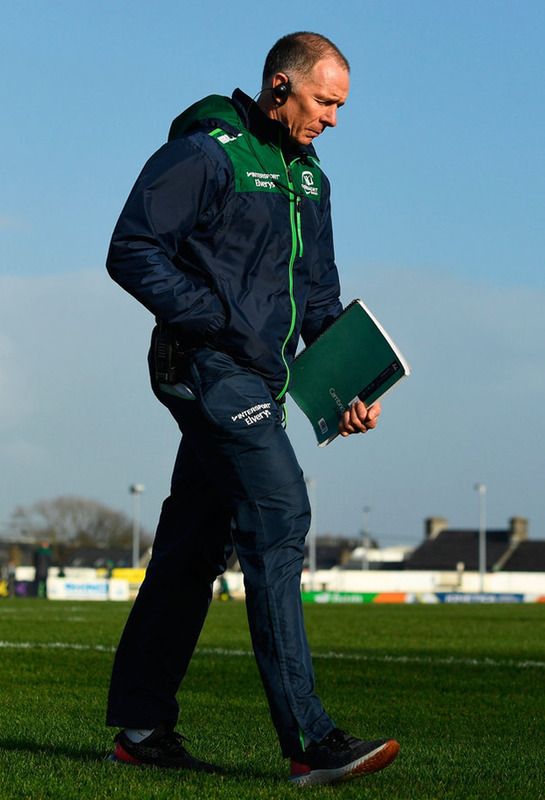 "We know we've got Cardiff coming here, who knows what will happen with Munster and with Glasgow too," said Friend. "If we keep winning and take control to make that top three, I know that wins with five points will help us to do that." Connacht - T O'Halloran (C Kelleher 55); S Fitzgerald, T Farrell, P Robb, M Healy; K Godwin (T Daly 69), K Marmion (C Blade 60); D Buckley (P McCabe 64), S Delahunt (T McCartney 59), F Bealham (C Carey 59); Q Roux, U Dillane (J Cannon 69); E McKeon (P Boyle 69), C Fainga'a, J Butler (C). Ref - Marius Mitrea (Italy).